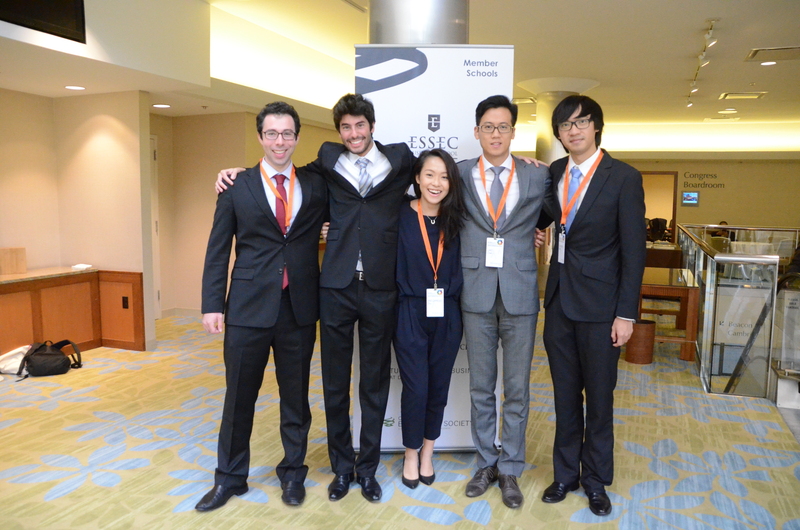 Jeremy Reich (Tuck), Kevin Sedbon (ESSEC), Jing Zhu (Keio), Chen Liao (ESSEC) and Jinchun Chen (Fudan) and form one of the five student teams competing in the 2015 Council on Business & Society case study competition. The five students began to tackle the case Wednesday evening and are now fine-tuning their findings and proposals in readiness for their presentation in front of the jury at the end of the Forum this early evening. 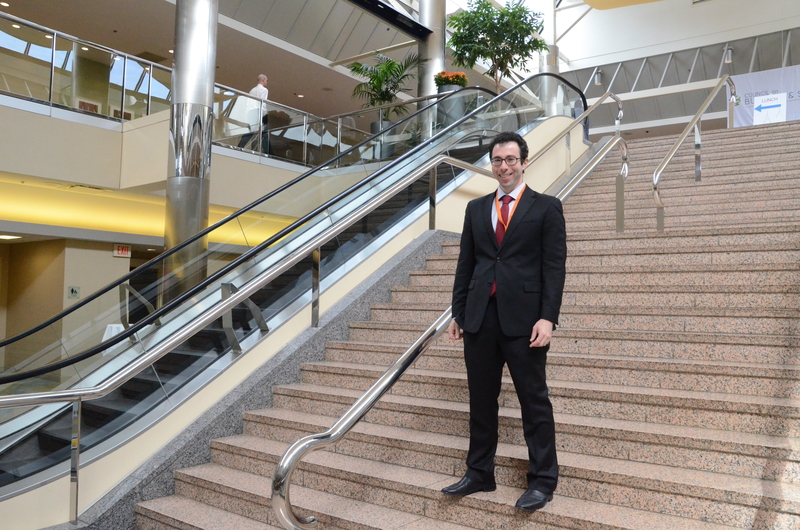 Spokesman student Jeremy Reich of Tuck kindly accepted an interview for the Council Community. Why did you initially decide to forward your name to participate in the competition? Jeremy Reich: As a 2nd-year MBA student at Tuck I did a summer internship in a company called Soligent that works in renewable energies. And it was during that internship that I discovered that energy really is very much at the intersection of business and society and a crucial subject over the next decades. I also admit that the thought of working with students from a range of different nationalities and cultures also stimulated me to want to take part. How have you found working on the case so far? Jeremy Reich: Well, the hours have been very long with a lot of information to process! The case itself has been a very interesting challenge, not least because the questions it raises don’t have an immediate and clear answer. It’s also been a different experience because of the fact of having to work with team members from different schools and therefore different cultures, both on an institutional and national level. In the USA we tend to be assertive and sometimes even aggressive in our working relations and this was very different from the other nationalities in the team, as indeed are the presentation styles of each culture. However, every student showed proof of great communication skills and we quickly managed to find a shared approach to work. What was it like to work with Parker Ranch CEO Dutch Kuyper on whose company the case was based? Jeremy Reich: Dutch’s interaction with the students was fascinating. It made the case much more real in terms of experience, especially because for myself and other student team members the scenario the case presents is not so far off from what we’ll be faced with in our careers in a near future. Having Dutch Kuyper with us was like having the cherry on the cake. He is extremely professional and a source of great energy, great knowledge. An interesting aspect is that Dutch was also able to learn from the students and their perspective on business and society. And finally, for you: what would be your dream for business and society? Jeremy Reich: That’s a tough question! I believe that a lot of questions affecting business and society are synonymous. My ideal would be to find a company or to build a company that stands in the public spotlight and promote its link between business and society – not only for PR, but for what it actually positively brings to these two meeting points.